ARN Sports & Entertainment works with only a select number of athletes and coaches to provide each individual the most personal experience and highest level of satisfaction coupled with our core values of honesty and integrity. Everything we do is in the best interest of our clients and their specific and unique situation. ARN strives to form lasting relationships with each client. We listen to what you want to achieve and create a plan to make it happen. ARN is an expert in contract negotiation, combine/pro-day preparation, pre-draft marketing, career management, and endorsements. Our clients have access to the best wealth management, tax, estate and legal professionals in the country. Whether it’s on the field or off, ARN Sports & Entertainment is on your side and focused on making your dreams come true. For more than 40 years, Brian has been involved in various sports as a player or coach. As a college student, he was a walk-on player at Furman University, where he earned a scholarship playing guard and tackle as well as lettered for three years. He also was a member of the 1988 Division 1-AA National Championship and three Southern Conference Championship teams. 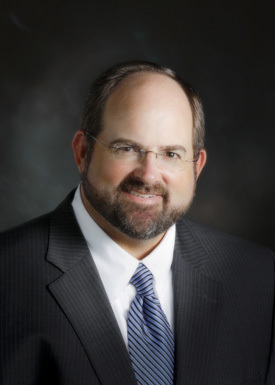 Brian graduated with a Bachelor of Arts degree in Business Administration in 1992 and received the Southern Conference Academic Honor Roll while at Furman University. Upon graduation from Furman University, Brian continued his involvement with football by serving as a volunteer football coach to various high school and junior high school teams. He also started his professional career by joining the family business, Columbia Beauty Supply. Serving as a member of the senior management team, he acquired a reputation for integrity, honesty and professionalism. Brian’s focus and tenacity over the years helped the company grow to a $60 million business, becoming the largest family-owned distributor in the Southeast and a significant distributor of L’Oreal products, the largest beauty care company in the world. In January 2008, L’Oreal acquired Columbia Beauty Supply. During his tenure with Columbia Beauty Supply, Brian negotiated several complex legal agreements and gained extensive knowledge working with many sophisticated wealth management advisors and other business professionals. That experience, combined with his passion for sports, provided Brian with the platform to launch ARN Sports & Entertainment in 2008, a full-service sports agency specializing in working with professional athletes and coaches. Brian is a certified NFLPA and CFLPA contract advisor. He has negotiated countless NFL contracts including landmark RFA agreements for Rafael Bush with the New Orleans Saints and untendered RFA Joe Thomas Jr. with the Dallas Cowboys. He is listed on the 2010 Presidential and Stanford’s Who’s Who in Business. In the community, Brian is a member of Myers Park Presbyterian Church served as a Board Member of The Paladin Club for Furman University. Brian resides in Charlotte, NC. He is married and has two boys.